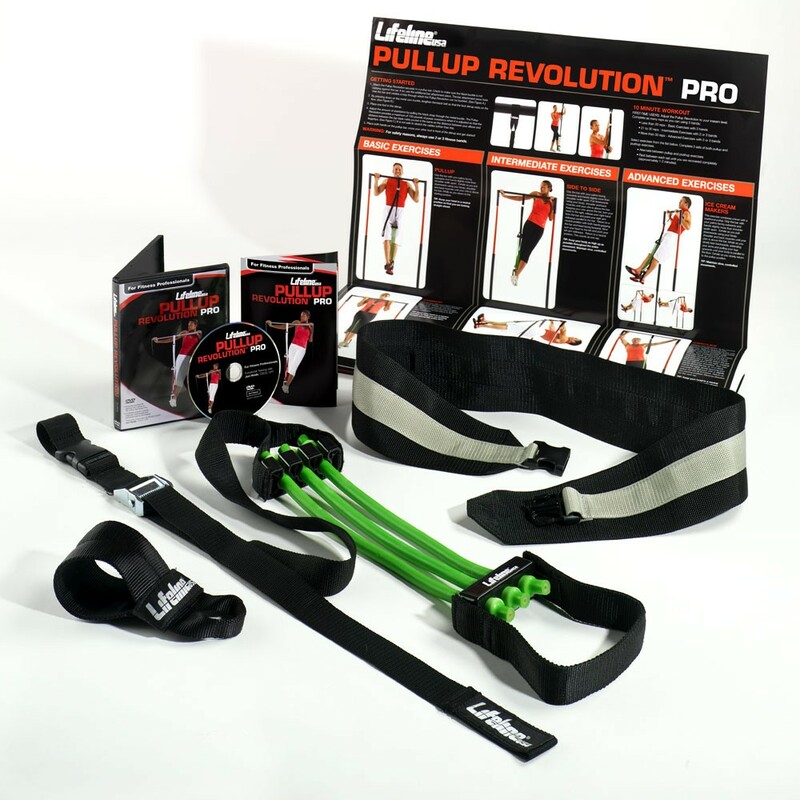 Designed based upon feedback from personal trainers and strength coaches, the Pullup Revolution Pro has been proven to increase pullup strength more than 70% in 60 days with regular usage. The Pullup Revolution Pro provides 125 pounds of adjustable power assistance, which enables health club goers and athletes alike to perform not only more reps - but also higher quality reps - of pullup and pushup exercises. With a durable support strap and reinforced foot stirrup, the Pullup Revolution Pro is ideal for the punishing usage at health clubs and training facilities. The Pullup Revolution Pro installs quickly and easily - even on wider diameter pullup bars. It also includes a webbed belt for assisted pushup exercises, a train-the-trainer instructional DVD and a full-color wall poster illustrating beginner, intermediate and advanced pullup and pushup exercises.